We all know I love a dress up, but this one caught me slightly unprepared. 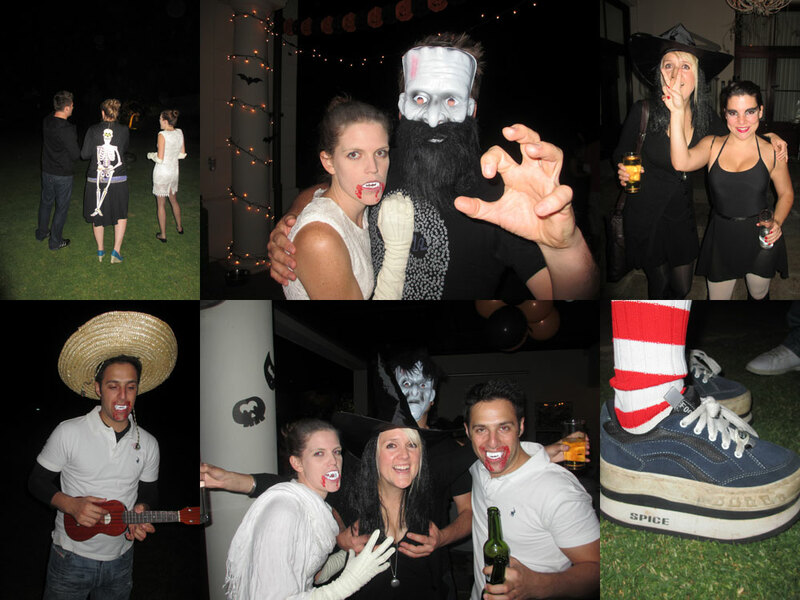 Nonetheless I had a jol and it was such a lot of fun. 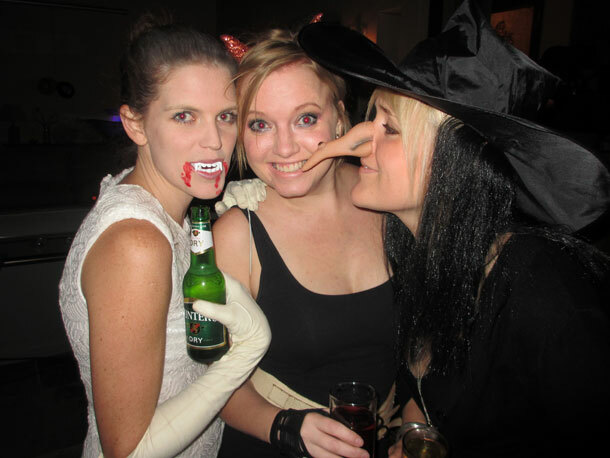 The theme – Halloween. I decided to use the white angel wings already in my dress up cupboard and find some devil horns and go as some kind of balance between good and evi / fallen angel vibe. Quick and easy and because I was pressed for time it was the best I could do. I was picked up by HaylzDog who had donned her vampire look complete with fake blood, white sparkly skin and teeth and we went off to collect a witch (complete with crooked nose) and what can only be called an axe murderer! Jirre did Jay give us a fright – what a completely epic costume. The party was plenty of fun and everyone dressed up. From vampires to pirates, skeletons and other scary gouls. We even had some pumkin cakepops which were simply delish. I will be trying to make those sometime – they were the perfect bite size of goodness. Check out some of the outfits below. Awesome effort peeps! This entry was posted in Play and tagged dress up, fun with friends, laughs.